The NUVOLA cantilever staircase features steps in different types of wood (Beech, Oak, Doussie, Wenge, Teak, Iroko), and in a variety of finishes (oil, bleached, polyurethane paints, etc.). They can also be coated with resin or CORIAN (a new material by DUPONT) in any colour selected from our catalogue. All our banisters can be fitted on this model, including: structural glass, with stainless steel horizontal rods, Gaudì, stainless steel laser-shaped panel, etc. 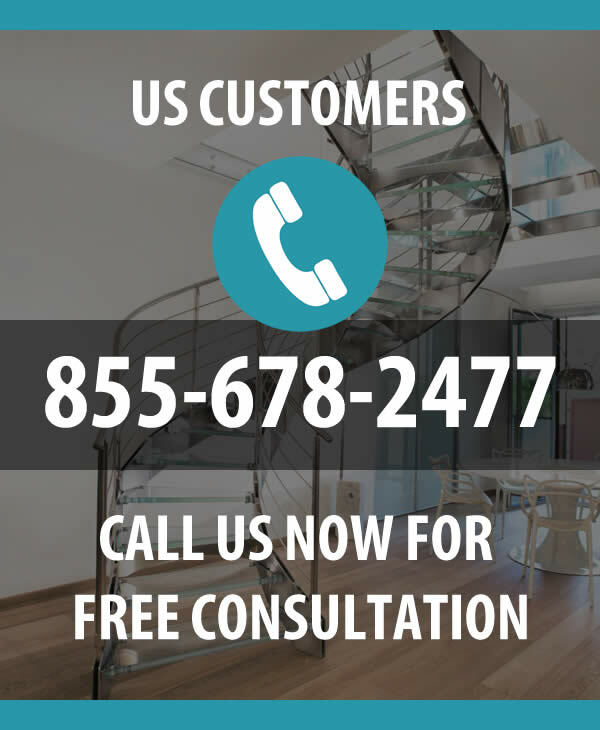 This type of staircase requires a bearing wall to anchor the steps. 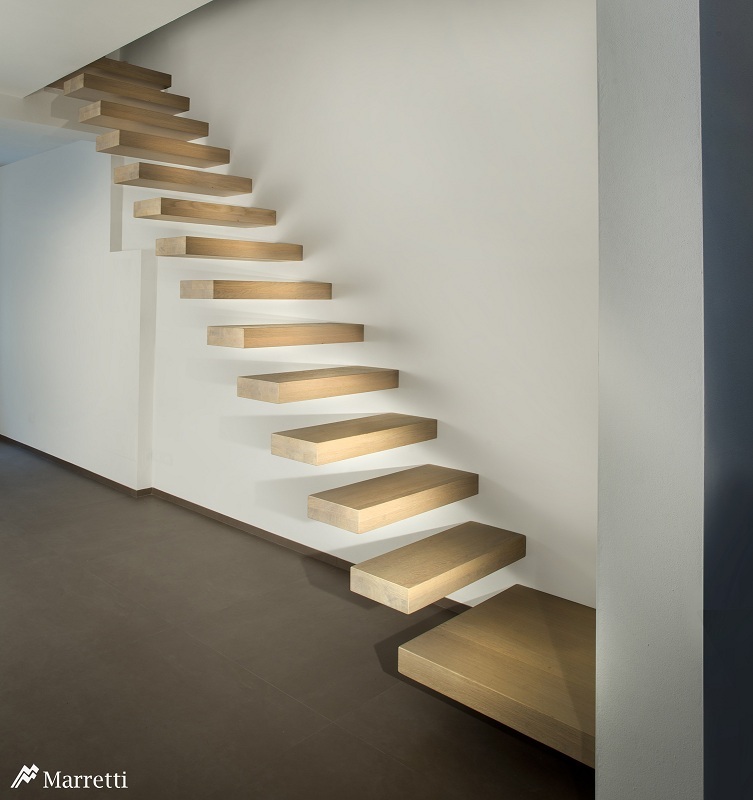 The NUVOLA cantilever staircases feature a patented wall fastening system with steel pins and are tested with a certified load test for a total capacity for each step of 150 kg.